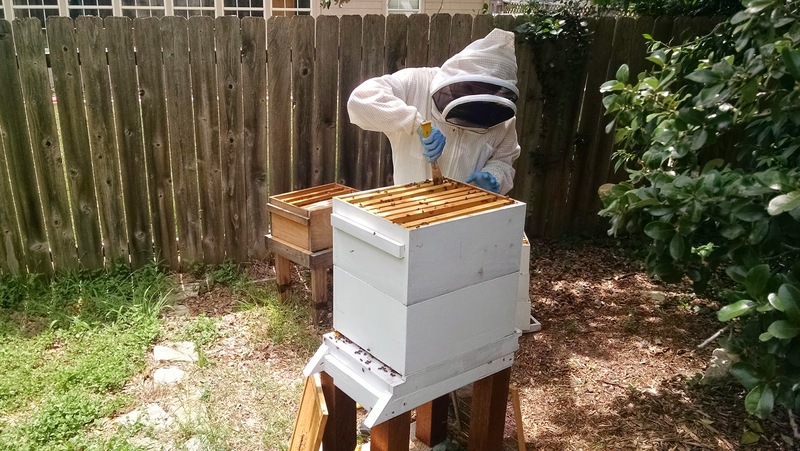 We finally collected honey from our hives this weekend! It was so exciting to taste the raw honey (we didn't even filter it before trying it). 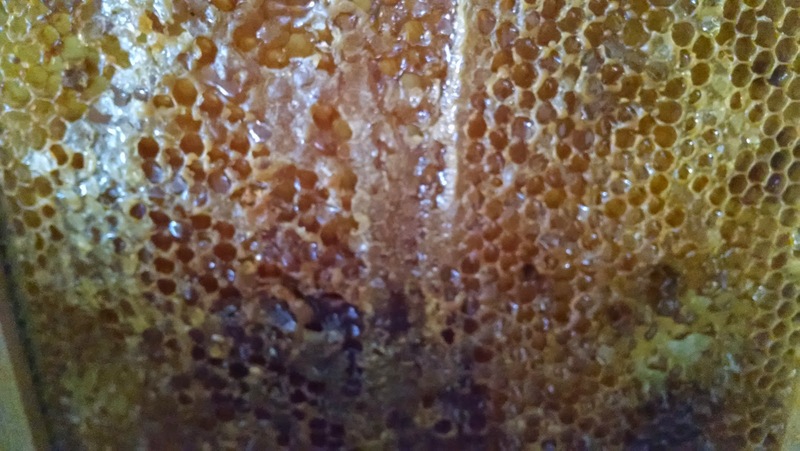 I had my first taste of honeycomb, which was an exciting moment for me. Although, I felt guilty having the comb knowing that bees exert so much energy to produce it. 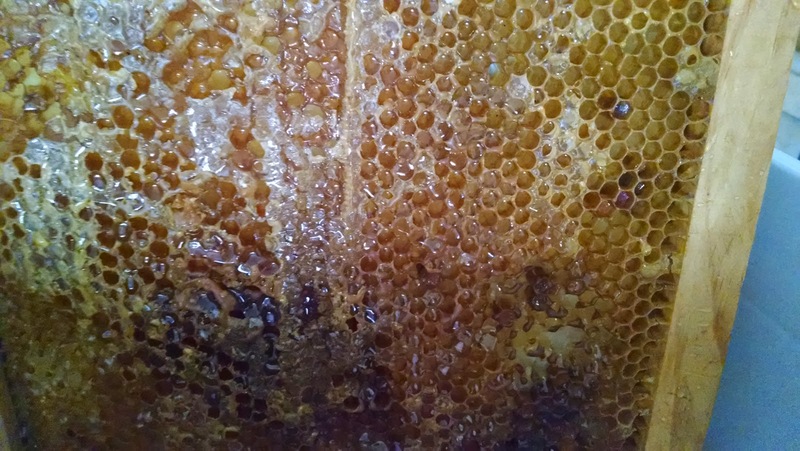 I'm not sure if it was the year worth of anticipation or the fact that it's the freshest honey I've ever had, but it was delicious! I snapped a few photos of Ryno harvesting the frames filled with honey along with a photo of the jar of honey too. We are planning to harvest more next week, so hopefully by then Ryno and my dad will have a great system together so we can start truly collecting!